The Joint Programming Initiative (JPI) “More Years, Better Lives” is a Member State-driven European research policy initiative to foster collaboration and coordination in R&D in Europe. The JPI MYBL seeks to enhance coordination and collaboration between European and national research programmes related to demographic change. 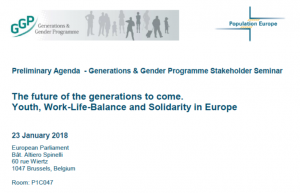 The conference brings researchers in the field of demography-related topics together to discuss questions of demographic change with a focus on CEE. Central and Eastern European countries and their specific research questions have so far been under-represented within the JPI MYBL. 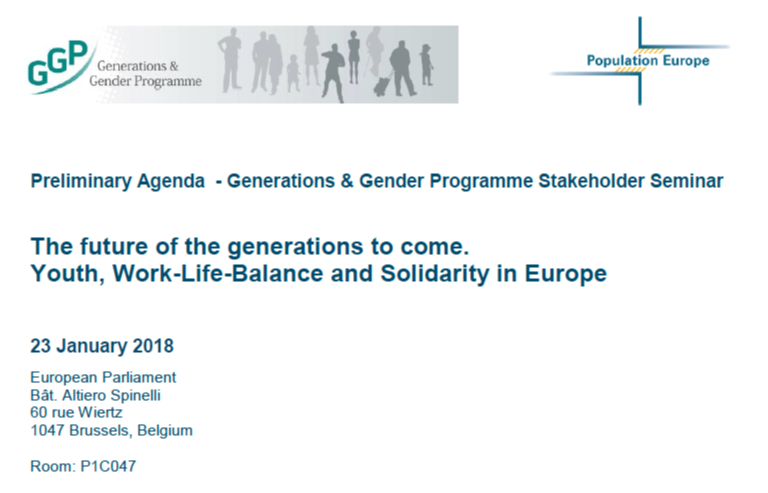 This conference will facilitate scientific input into the JPI MYBL about the status quo of demographic change in CEE and will bring researchers and stakeholders from funding agencies and ministries together. Here the full program of the conference. All the presentations are downloadable here. 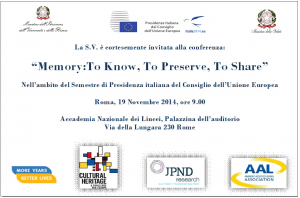 The J-AGE final conference has been held in Rome, in occasion of the Event “Memory: to know, to preserve, to share” under the flagship of the Italian Presidency to EU. The event was jointly organized by the Italian Ministry of Education and Research with the collaboration of the three Joint Programming Initiatives and one Art. 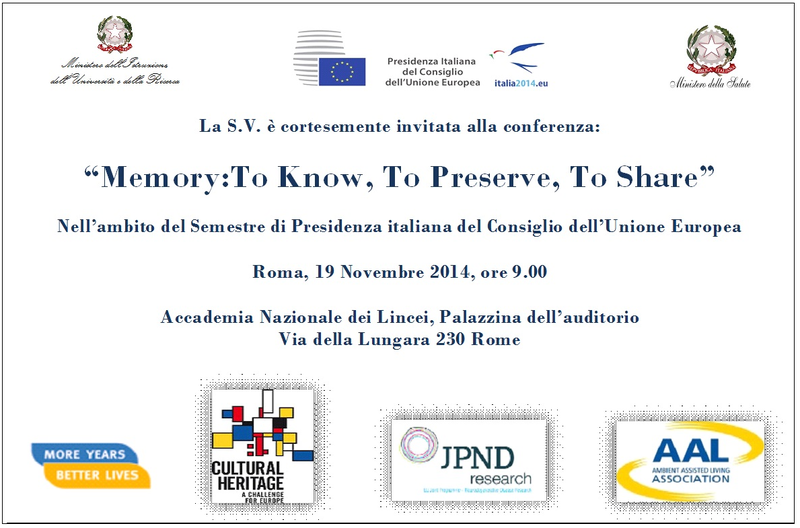 185 project where the concept of “memory” was underpinning: JPI More Year Better Life, JPND – Joint Programming on Neurodegenerative Disease, JPI Cultural Heritage and the AAL – Ambient Assisted Living. The aim of this conference was to show the activities that are being pursued in the context of 4 initiatives involved. This common effort has been directed towards providing reflections, discussions and strategies to preserve human memories. The conference has been the occasion to showcase the achievements of the work done so far by the JPI More Years Better Life with the support of the JAGE project and, at the same time, discuss and share the results with high level representatives and stakeholders which face the issue of Demographic Change with different perspectives, approaches and strategy. MEMORY SHARING: At the heart of the third session is the sharing of memories as a common, social objective: how we achieve such a sharing, how do we facilitate the maintenance of memories, which tools can we apply to preserve individual, regional, global memories. Here the full program of the Coference.